I truly didn’t know what to expect when I recently visited Arkansas. I’ve driven through the state many times, but I had never stayed overnight – nor have I had someone tell me it’s a “must visit” destination. This is exactly why I was interested in planning a trip. 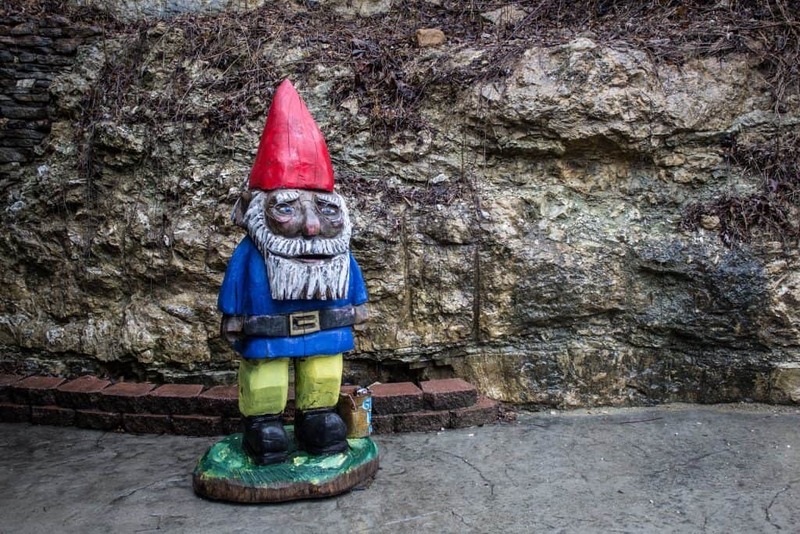 I enjoy seeking out the underrated and underexplored and that’s why I was so excited to check out things to do in Northwest Arkansas. I’m also happy to relay this information – Arkansas definitely deserves attention! 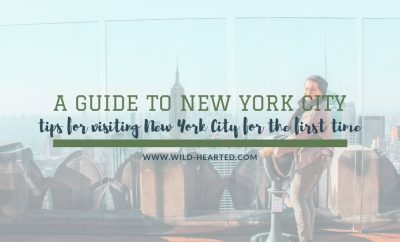 I’ve decided to put together a little 48-hour guide for you that’s basically exactly what I did but a little bit more efficiently so you can make the most of a quick weekend getaway. If you’re arriving by plane like I did, you’ll be flying into XNA which is a smaller, regional airport but is quite frankly a very nice airport. Everything should be smooth sailing due to it being smaller. I got off the plane, checked out my rental car and was out of the airport parking lot in about 20 minutes. Pretty important for someone who doesn’t have a ton of time to spare! After grabbing your car at the airport, I suggest stopping in Bentonville to have dinner at The Preacher’s Son. One of the things I regret not having time to do was enjoy a meal at this unique restaurant. 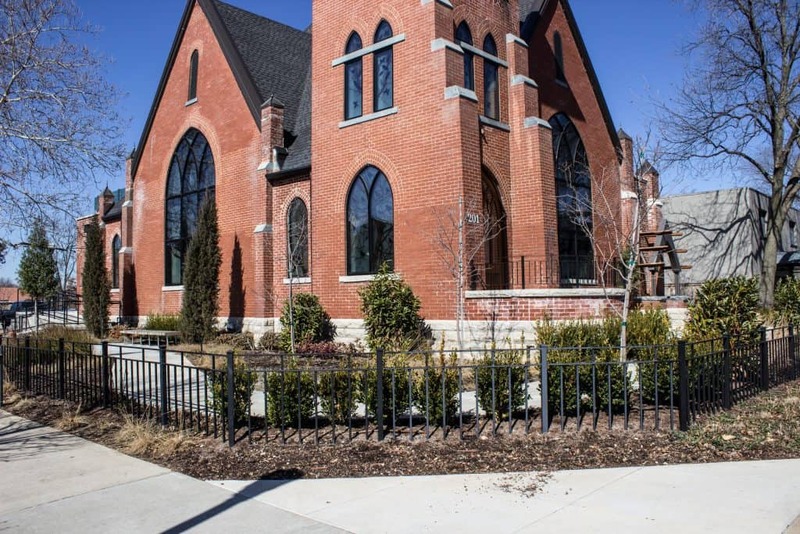 Once a church and the first Christian church in downtown Bentonville, The Preacher’s Son is now home to a popular restaurant run by Chef Matthew Cooper who just happens to be – you guessed it – a preacher’s son. I love checking out unique restaurants plus The Preacher’s Son has great reviews and several vegan options! 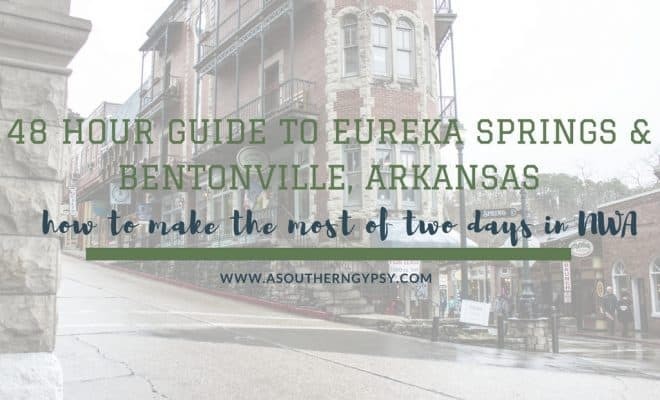 After fueling up your stomach in Bentonville, it’s time to make the hour drive to Eureka Springs and check in at the one-of-a-kind Turpentine Creek. 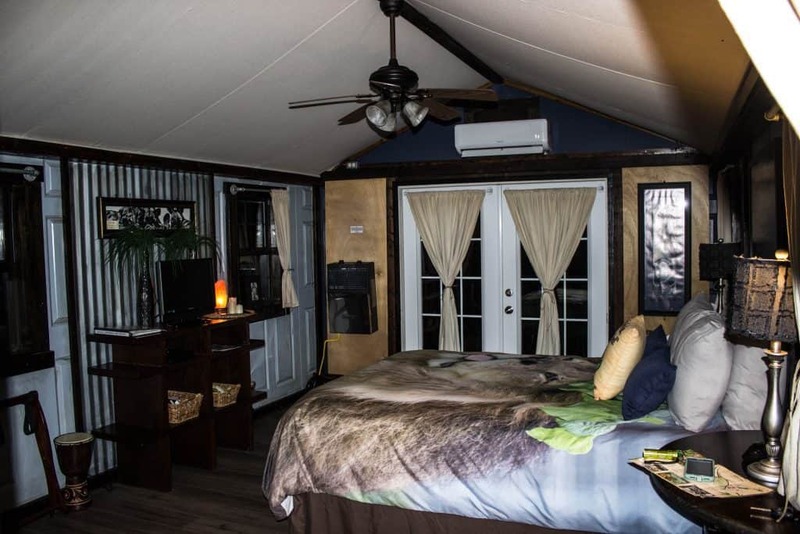 You can stay at a private lodge, treehouse, bungalow or suite! All are extremely private and unique! 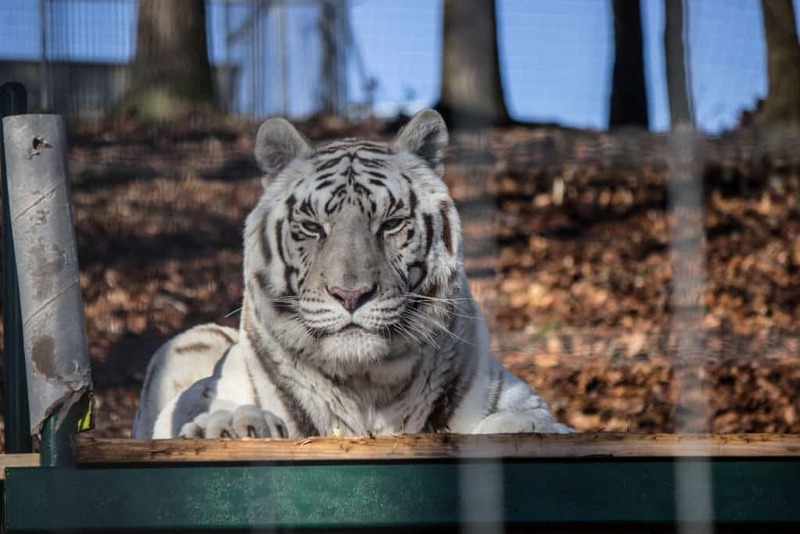 Turpentine Creek provides lifetime sanctuary for rescued animals – mostly big cats but also bears and “small” cats – and is one of the largest facilities of its kind open to the public anywhere in the world. In your room, you’ll find complimentary coffee, tea, water, oatmeal, and fruit. You can also make the quick 10-minute trek into town and grab some necessities at the Eureka Market – a mom & pop style market with lots of vegan options. I highly suggest leaving your windows open at night because you’ll wake up to one of the best sounds ever – lions caroling and tigers chuffing. 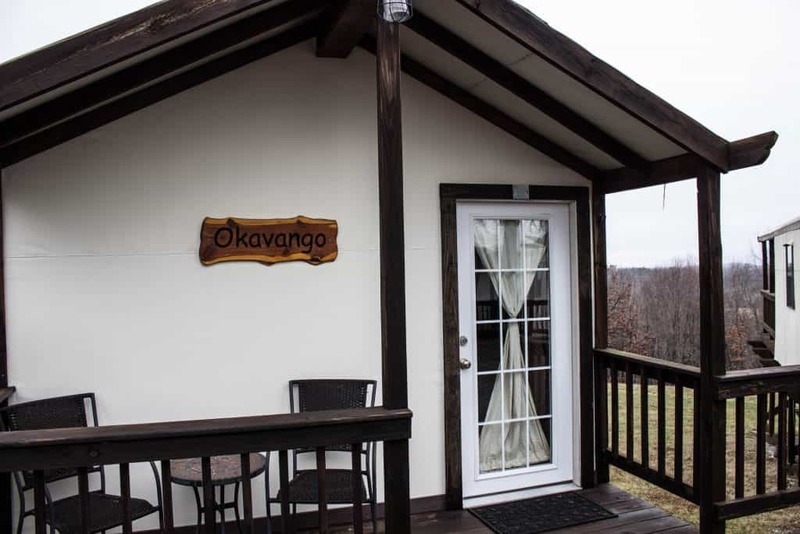 The hills of the Ozarks carry the magnificent sounds straight into your lodge! As an overnight guest at Turpentine, you’re invited to check out the self-guided area an hour before they are open to the public. It’s pretty awesome to see how the volunteers and staff start every morning with the animals. You can either walk around in the habitats near the gift shop or walk the perimeter of the habitats to see some of the animals better. Starting at 10 AM, you can take a free guided tour of the sanctuary. They occur every hour, on the hour from 10AM-3PM and you’ll gain so much more knowledge than you thought possible. Definitely, don’t miss out on this! It’s one thing to see the animals, it’s a whole other thing to hear about all the amazing things Turpentine is doing for these animals. 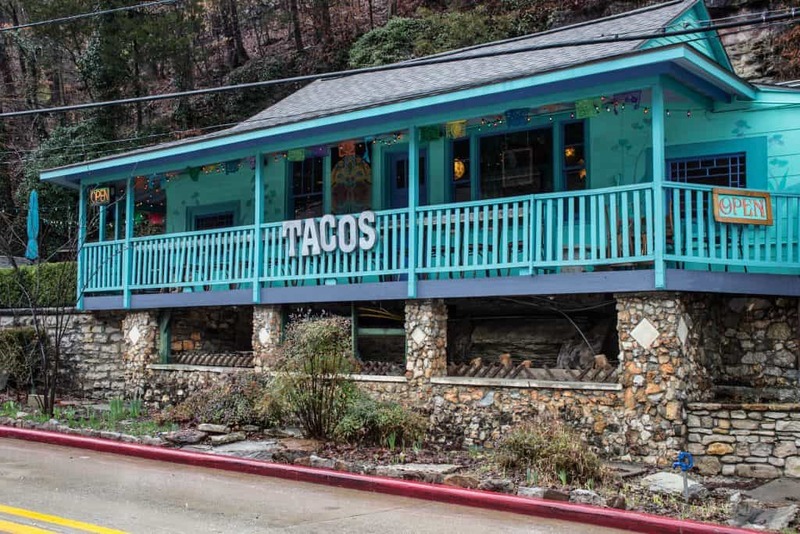 Once you’re done with your tour, head into downtown Eureka Springs for some lunch. There are a couple different options but I’d suggest Aquarius Taqueria. 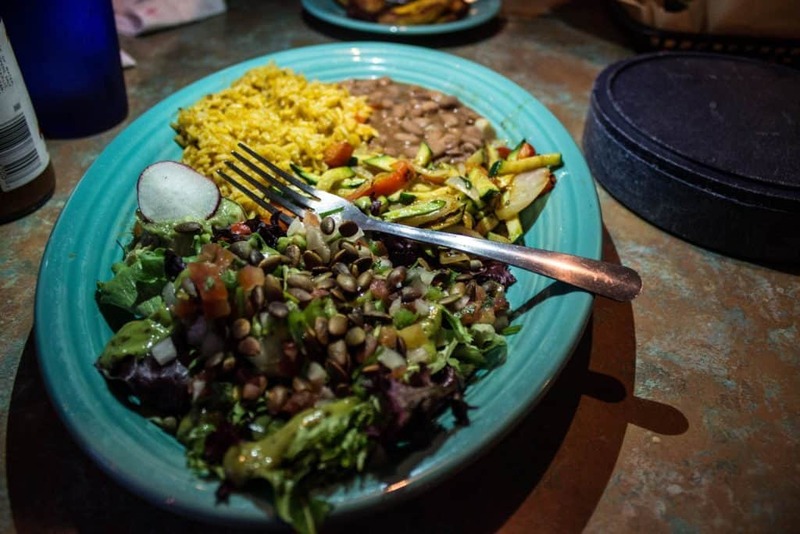 All of their chips, guacamole, salsas, tortillas, rice, beans and salad dressing are vegan! You can get veggie tacos, bowls or platters – just make sure to order with no cheese or crema. The pineapple salsa was, honestly, some of the best salsa I’ve ever had and you can definitely tell that the chips are homemade. 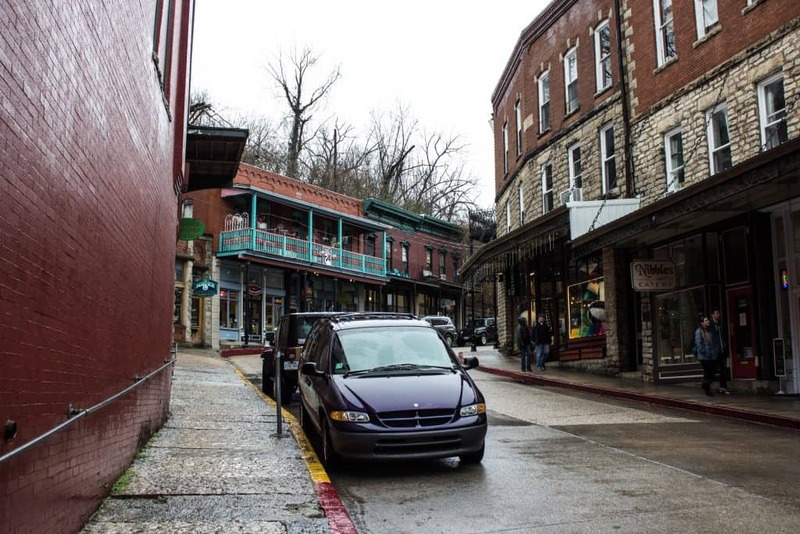 After grabbing some lunch, you can walk through downtown Eureka Springs. It’s full of so many eclectic shops, Victorian homes, fine art galleries, spas, museums, parks and more that all hug cliffsides. The town was built around natural springs and is extremely unique. 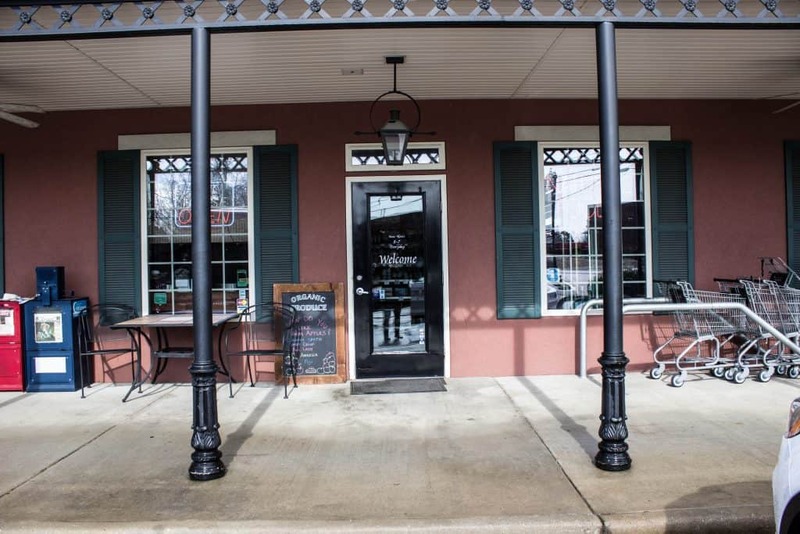 The entire downtown is actually on the National Register of Historic Places. I was totally bummed to find out this is closed January-February. I literally missed it by just a few days! I had seen a picture of this chapel a long time ago and have always wanted to visit. One look at this picture would explain why I really wanted to go! 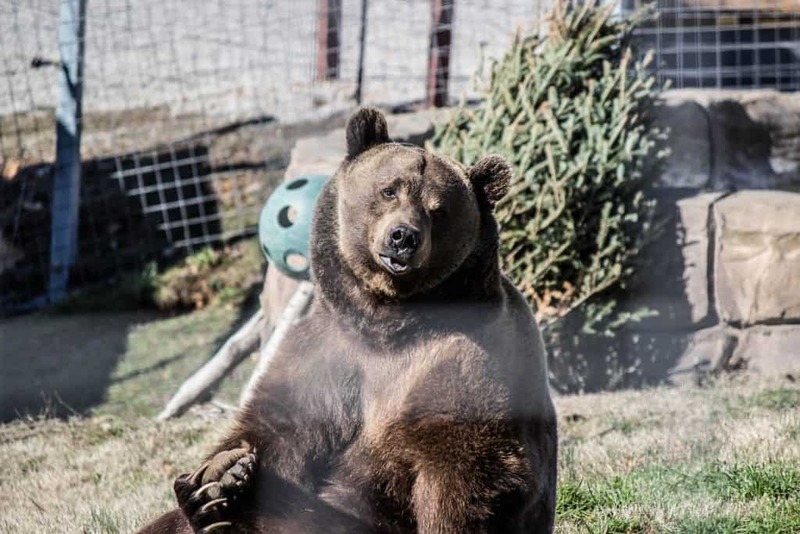 After exploring the one-of-a-kind Eureka Springs, you can head back to Turpentine to either spend more time exploring the property and checking out the cats, bears and more! You might also feel the need for a cat nap at this point. It’s really nice that Turpentine Creek is so close to downtown because we were able to drive back and forth a few times without feeling like it was too long. 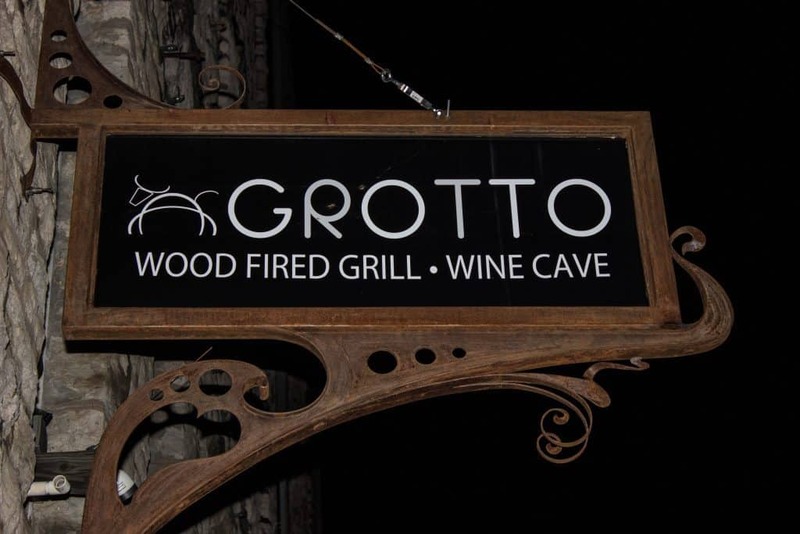 We went back into town and ate dinner at Grotto Wood Fired Grill & Wine Cave. They were able to do a few different salads and some different vegetable sides with a few alterations. Everything was good (their french fries were exceptional!) but the really cool part about the restaurant is that there is a natural cave inside of the restaurant. Another option for dinner would be Local Flavor Cafe and they’re happy to alter many dishes to make them vegan. We didn’t have time to eat here as well but I’ve heard it’s fabulous! After dinner, I highly suggest heading to the “Most Haunted Hotel in America” to experience a ghost tour. Even if this isn’t your type of thing, you get quite a bit of a history lesson as well and it’s totally worth it! The tour lasts about 75 minutes and takes you all over the hotel including the basement morgue! 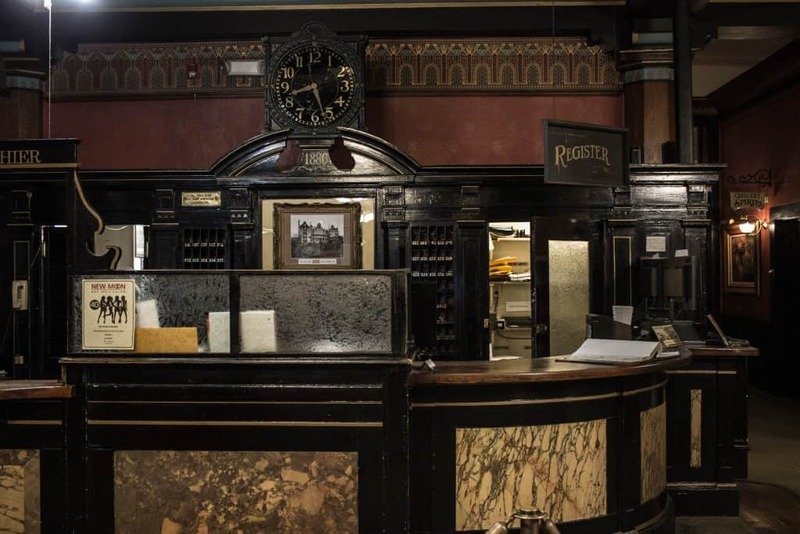 Book your tour ahead of time as they do sell out! Grab some coffee, breakfast, pack your things and soak up your lodge as much as possible before you leave! Make sure to say goodbye to all the animals at Turpentine and snap some more photos and videos to share with family and friends at home! I would highly suggest seeing the animals more than one day as many of the animals were out and about Sunday that were not out on Saturday. Bam-Bam, the bear, was putting on an amazing show for us this morning but was nowhere to be seen on Saturday because of the rain. Time to head back to Bentonville for the day! 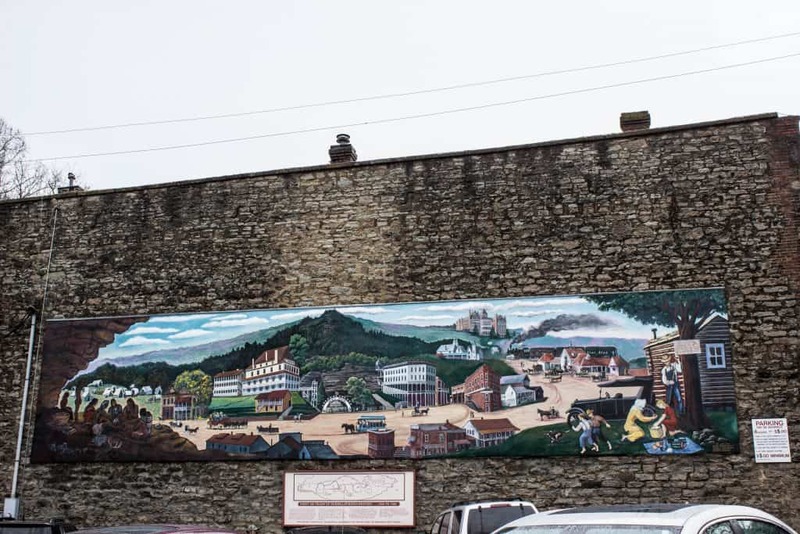 While the town was once known mainly as the home of Walmart, it is now known for many other things such as their wonderful art museum, the food scene and more. 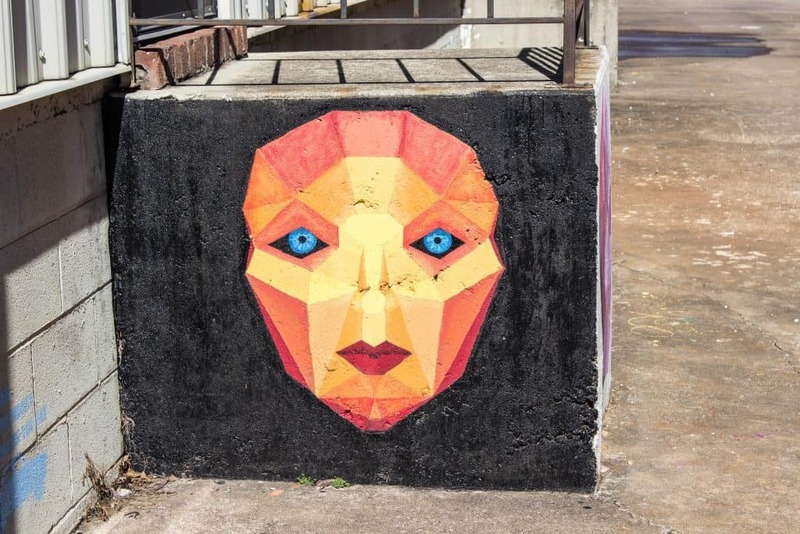 The art museum isn’t the only thing to check out – if you keep an eye out, you’ll find plenty of amazing street art like this one below! We actually ate dinner at The Hive on Friday night but for timing sake, I would suggest coming here on Sunday for lunch. Chef Matthew McClure is amazing and the best meal of the weekend definitely occurred here. Their menu is seasonal and changes often. 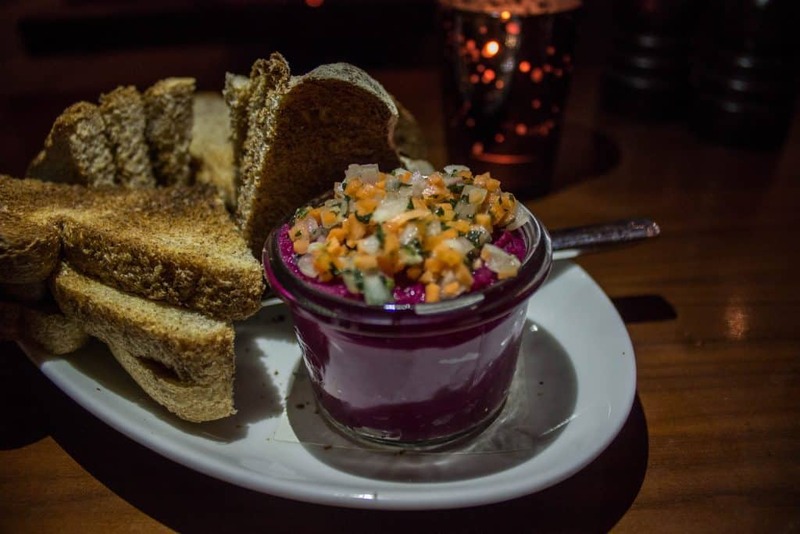 Currently, they have several vegan options including a white bean soup (sans bacon), a beet hummus that is both beautiful and delicious, a few different salads and their main vegan entree is Madras Currie Panisse. I didn’t even know what panisse is but it’s one of the most delicious things I’ve ever tasted. It’s an Italian dish made out of chickpea flour but The Hive puts their own twist on it. Just get it! You won’t be disappointed. After, or before, lunch make sure to check out the art inside the 21C Hotel. 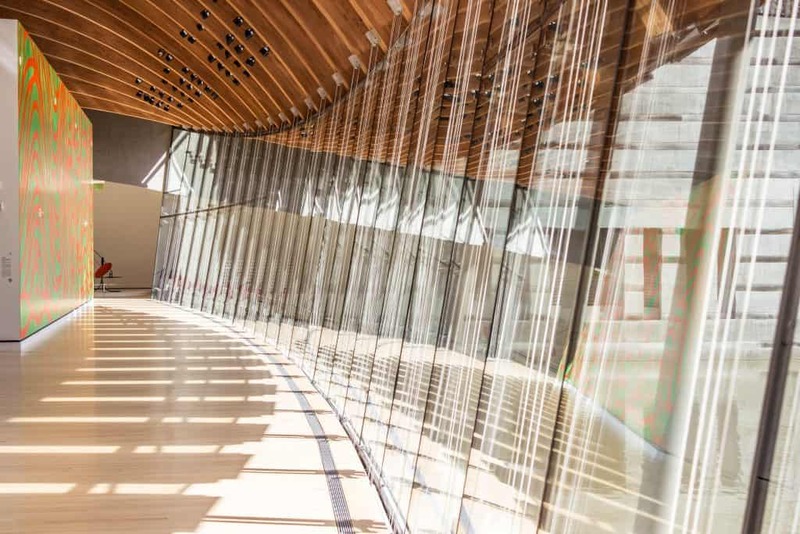 After lunch, make sure to check out the Crystal Bridges Art Museum. It houses an extensive permanent collection including Norman Rockwell’s Rosie the Riveter and also hosts diverse rotating exhibits. The museum is free for the permanent collections. 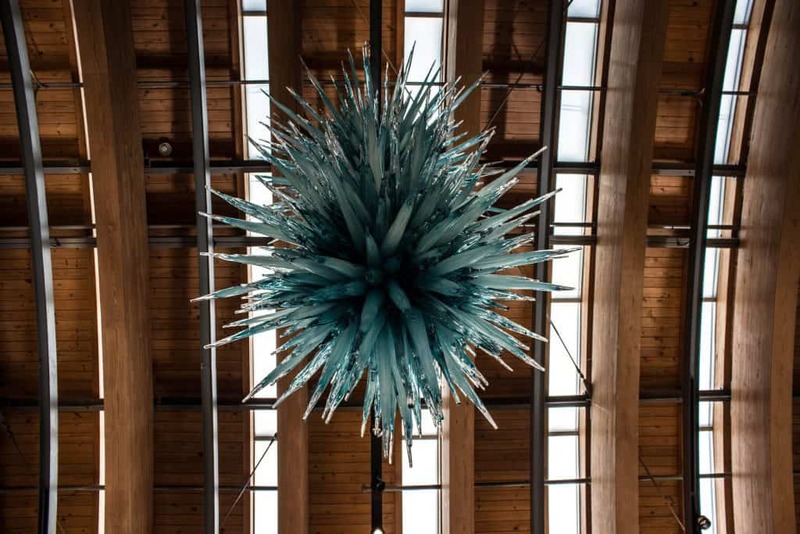 Not only is the artwork amazing, but the building’s architecture and grounds are worth a visit alone. The museum sits on 120 acres of Ozark forest which includes natural springs, streams, native plants, animals and outdoor works of art. I love finding local coffee shops when I travel. I find them so inspiring, motivating and the best places to people watch! 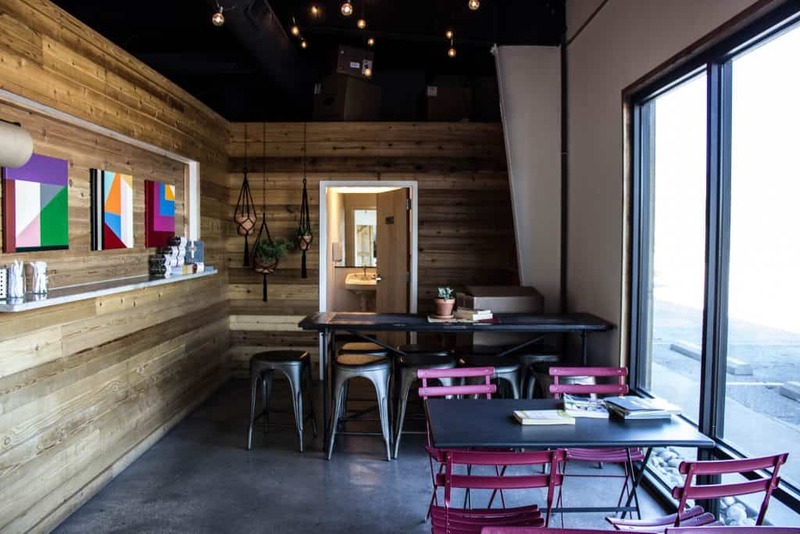 Onyx Coffee Lab is located in downtown Bentonville and the coffee shop vibes are on point! They have a few different kinds of plant milk and several specialty drinks on their menu that are marked vegan. 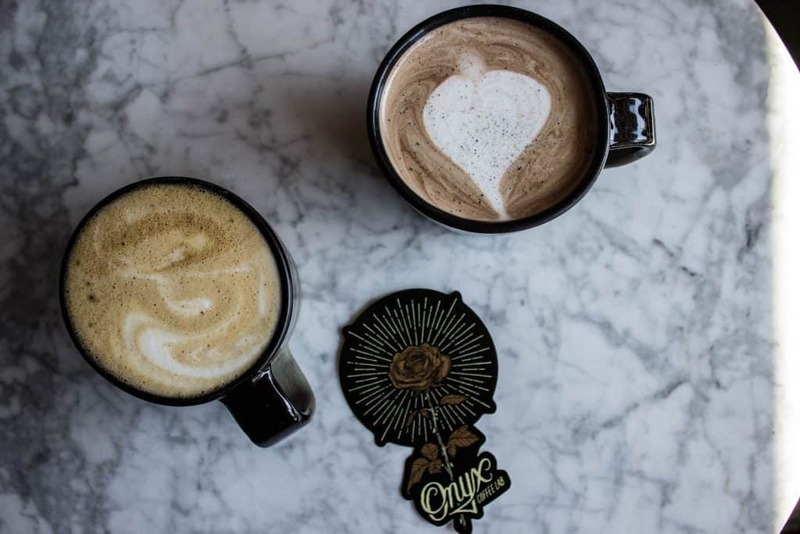 We had the hot chocolate with almond milk and the sporchata – both were absolutely perfect! 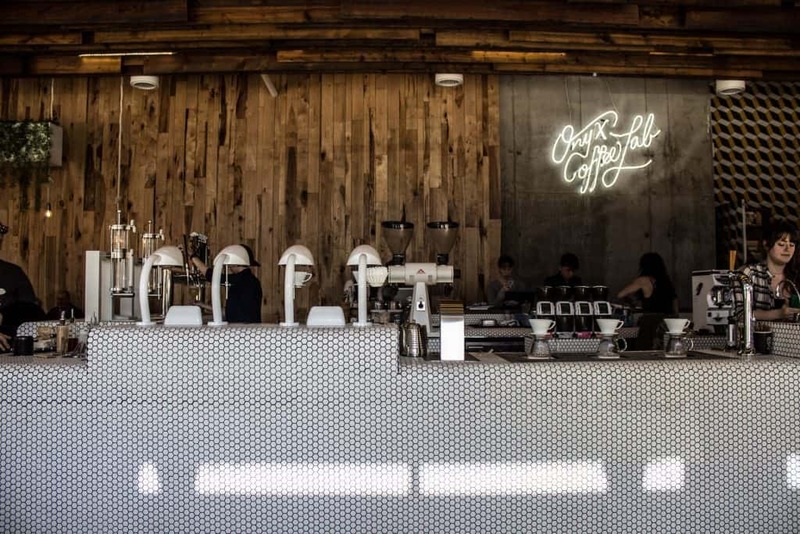 After grabbing a coffee, take a stroll around downtown. 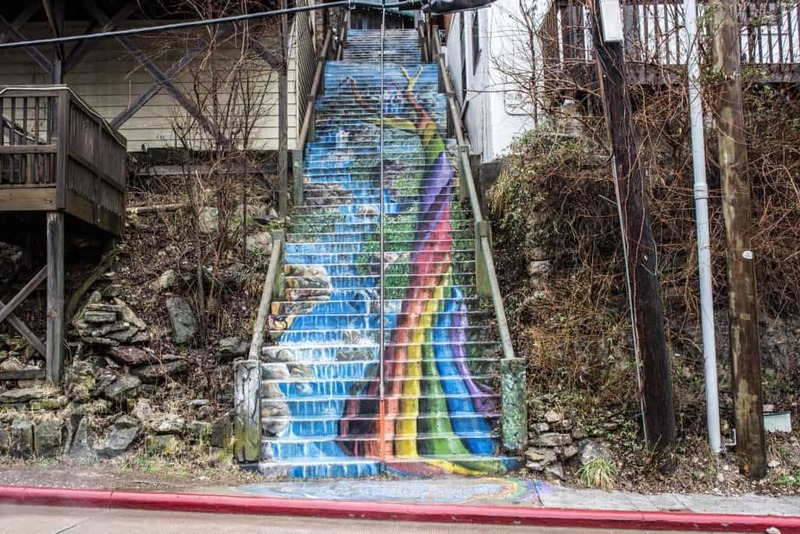 You can check out street art, see the historic downtown, and explore some of the shops. If coffee isn’t your thing or you just want something refreshing before heading to the airport, check out Native Nectar. While they don’t offer their entire food menu on the weekend (which is sad because it looks amazing! ), you can get any of their juice or smoothies. They have lots of different options and the ‘Mother of Dragons’ is delicious. Interested in staying at Turpentine Creek? Check out reviews here or go ahead and book your room here! Are you itching to Visit Arkansas now? Check out what there is to do! Looking for a hotel? Read accommodation reviews here or book here. 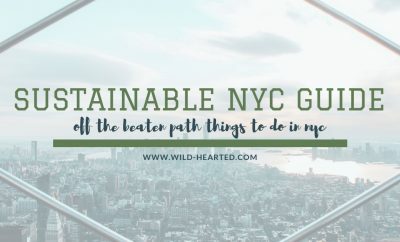 Want a guidebook? Here’s a NW Arkansas one. What else have I written? You can find more Arkansas posts here and USA posts here. Thank you to Arkansas for hosting me on my stay. As always, all opinions are my own and I will never promote something I don’t personally use and believe in, regardless of who foots the bill. 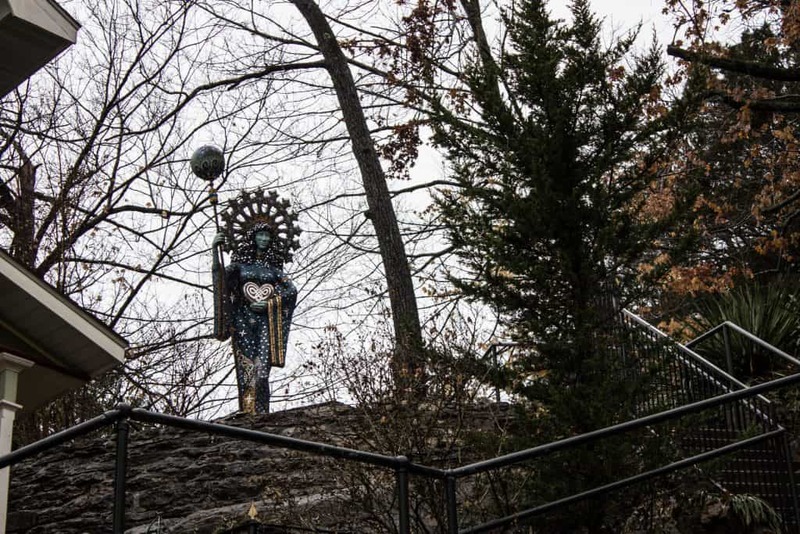 I went to Eureka Springs last Fall and fell in love! Definitely need to go back and check out Bentonville and Turpentine Creek! My husband may be going to Little Rock soon and I really want to visit Hot Springs one of these days. Lots to explore in Arkansas! Wow! What a unique place to visit! 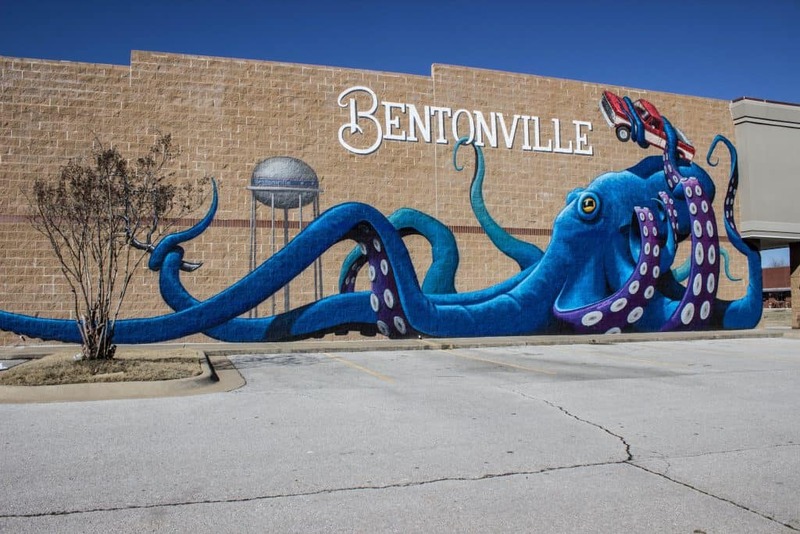 I am definitely adding Bentonville to my future travels. More and more, I am loving all the little towns that people should take the time to explore. 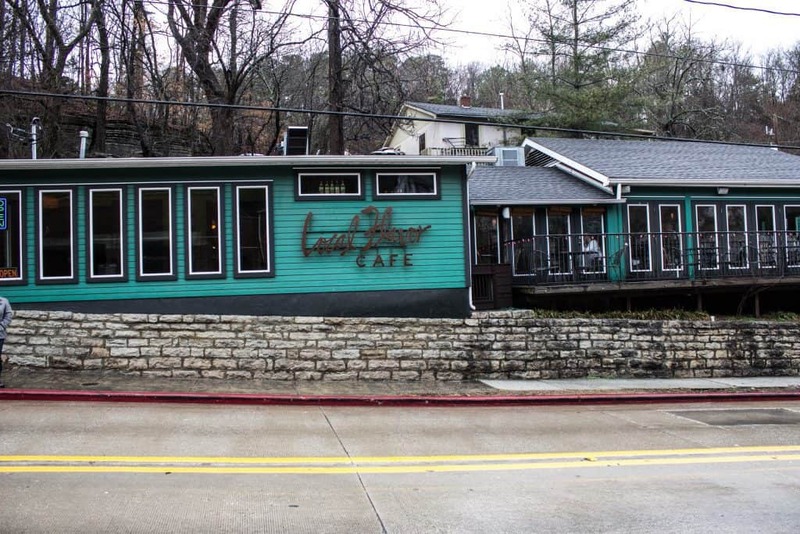 Eating at The Preacher’s Son sounds fun, but you really had me at the mention of cats. I’ve got to experience this for myself! 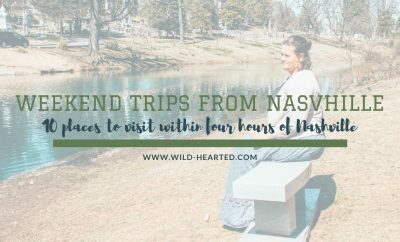 One of my(Ed’s) favorite stories of my moms travels was from Northwest Arkansas and looking for things to do. She was in a dry county so she ended up with the boys in a saloon in Oklahoma Indian country. She saw a big stack of guns and figured it was safe enough. The waitress asked her if she had a gun. When she said no, she asked if she would like to pick one up from the table up front. Sure enough, by the end of the night a gun fight had broken out and she was crawling out of the bar. She did not, however, bemuse her choice to not pick up a loaner gun for the night at the saloon. True story. Turpentine Creek looks amazing. We used to volunteer at Lions and Tigers and Bears in San Diego and this seems similar. Perhaps a little cooler since there are tree houses there. 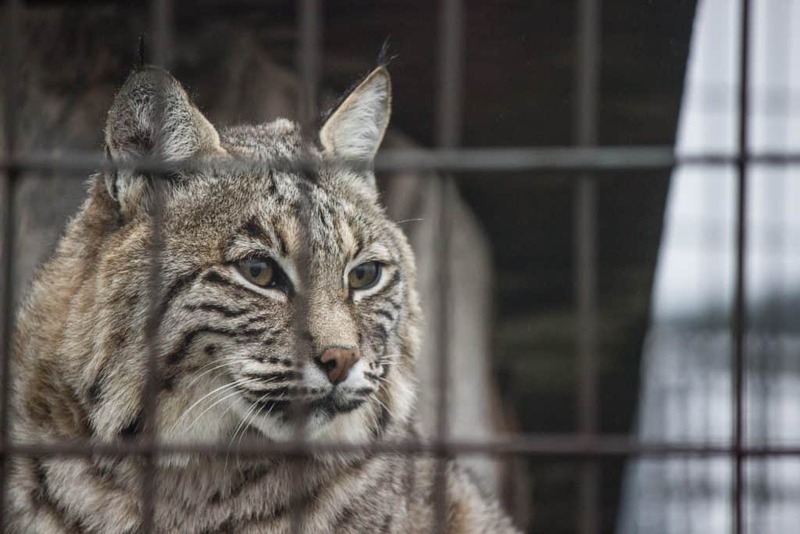 We would definitely leave the windows open so we could hear the big cats at they carry out their night’s calciphony. I also like exploring lesser talked about places so Arkansas sounds really interesting. The Preacher’s Son restaurant in the old church is such a cool concept! And I love the idea of staying in a wildlife refuge too. 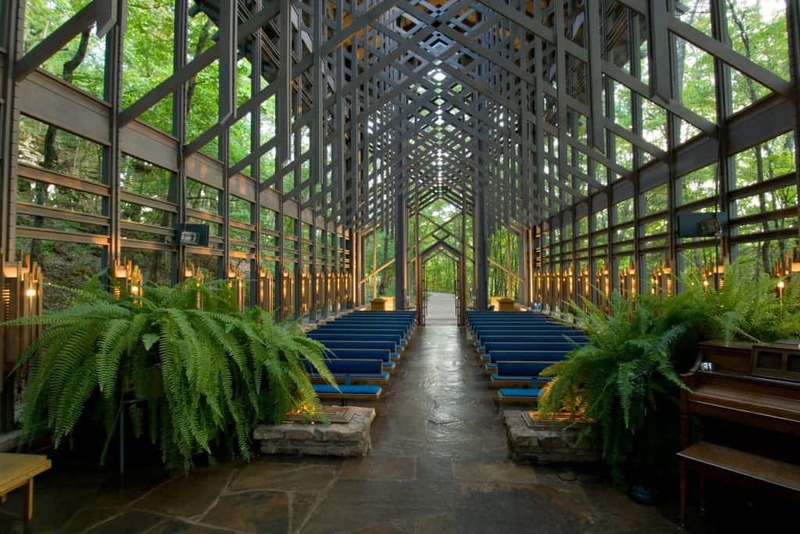 And the Thorncrown chapel does look amazing, too bad it was closed when you went. Good to know for future reference! 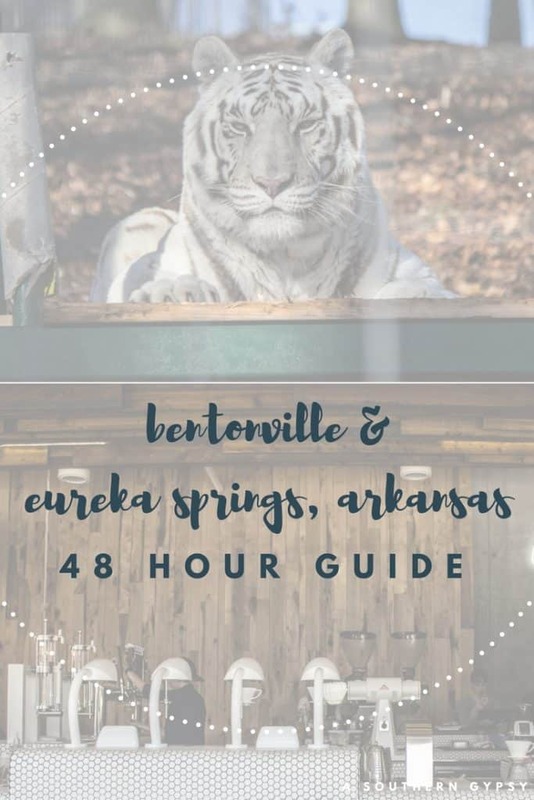 I’ve been curious about what to do in Arkansas, as it’s one of the few states I have left to visit in the US. 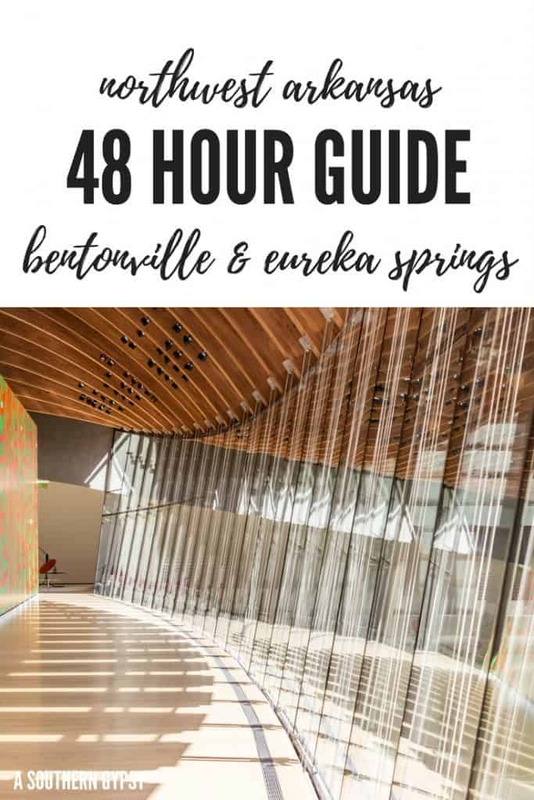 Loved reading about all the cool things there are to do in Bentonville! The Thorncrown Chapel does look magnificent, and I’d love to stay at a place with cats. 🙂 Thanks for sharing about Northwest Arkansas!! 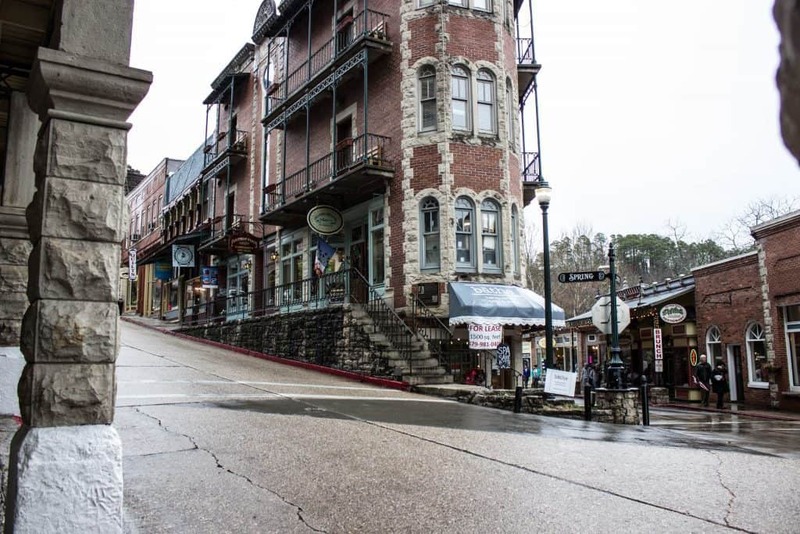 Thanks for doing such a great post on our town of Eureka Springs – there are so many things to do in our Haunted Victorian Town. It Sounds like you missed our show INTRIGUE THEATER, with the Illusionist Sean-Paul and his wife – the Ghost Talker, Ms Juliana Fay. They have been thrilling audiences in Eureka Springs since 2011 and they were just featured on Penn and Teller’s Fool Us last year. We hope that if you return to our town you will check us out and CHALLENGE YOUR REALITY. I’ll definitely keep this in mind for my next trip! I loved Bentonville! I went a few years ago – the church in the middle of the forest blew my mind. Such an artsy and fun part of the country.